Spybrary Shelf of Fame – your favourite spy books! 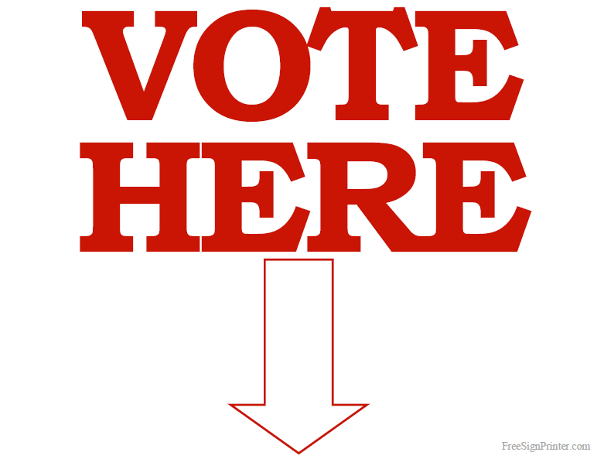 Spybrary needs you to vote for your favorite Spy novels. What Spy Books would make your shelf of fame? 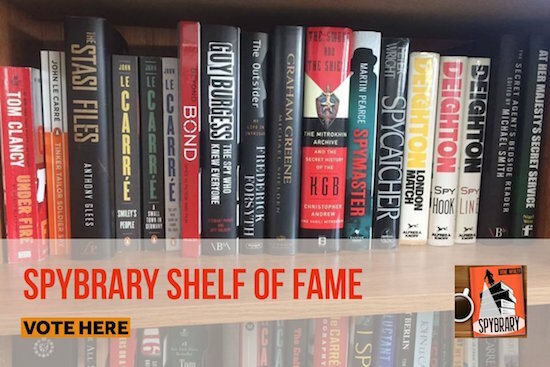 Vote for your favourite spy books on the Spybrary Shelf of Fame HERE! What are your favorite Spy Books? 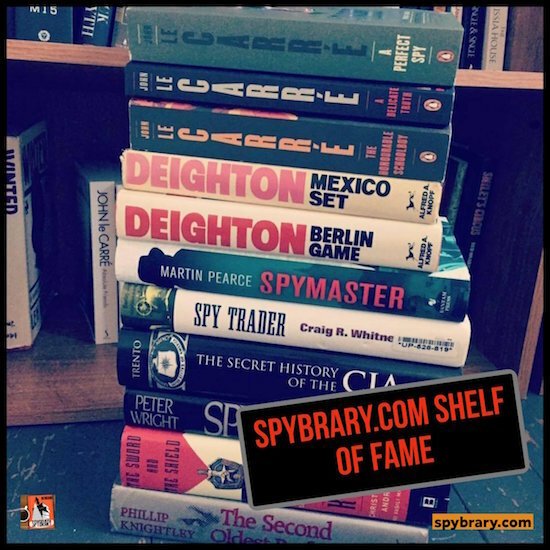 Spybrary is holding a vote for the Spybrary Shelf of Fame, choose from over 100 spy books suggested by our Spybrary Podcast listeners and Spybrary Facebook Group members. Spybrary Shelf of Fame have you voted yet? The top Pre-Cold War spy book, top five Cold War spy books, and top spy Post-ColdWar book will be inducted into the Spybrary Shelf of Fame. Listen to SpyWrite‘s Jeff Quest and Spybrary Host Shane Whaley talk about the Spybrary Shelf of Fame on episode 40 of the Spybrary Spy Podcast! 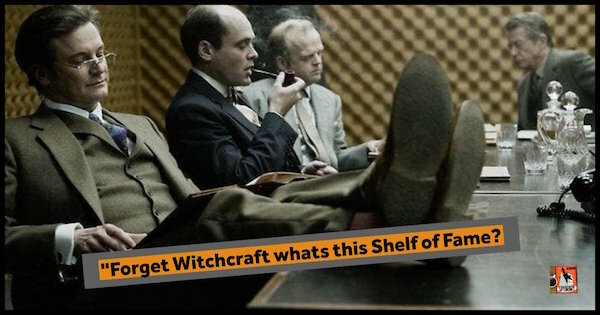 Polls are open until midnight April 27th and the Shelf will be revealed on a future episode of the Spybrary Spy Podcast. Authors include John le Carre, John Buchan, Jason Matthews, Eric Ambler, Len Deighton, Alan Furst, Somerset Maugham, Joseph Conrad, Ian Fleming, James Grady, Peter O’Donnell, Robert Ludlum, Tom Clancy, Charles McCarry, Ted Allbeury, Graham Greene and many many more! Vote early, vote once and VOTE HERE! Win a book of your choice, retweet this episode – www.spybrary.com/40 and use the hashtag #spybrary We will pick a retweet at random and you get to pick a book from the Spybrary Shelf of Fame 2018.